The FOLLOWING are the directions to the FIRE CO.
(visible from Shady Vale Church). turn left. 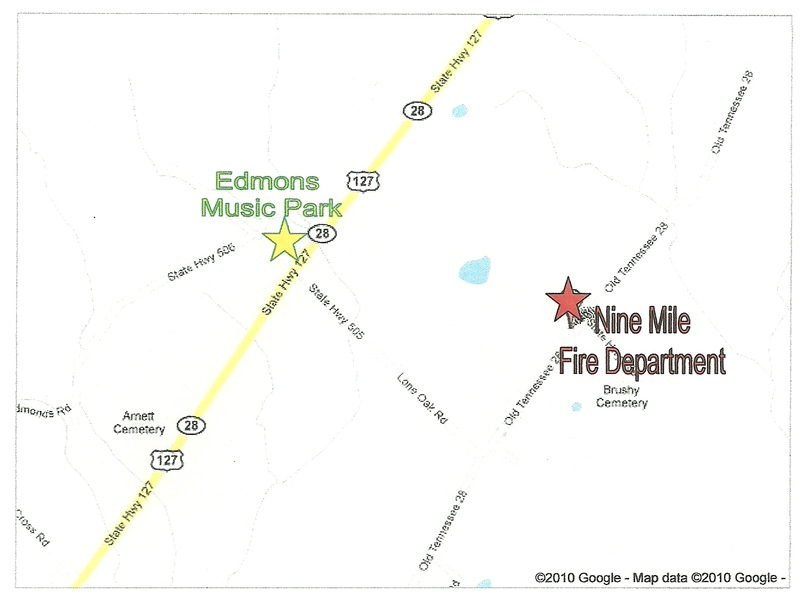 Nine Mile Fire Dept. is on the right. turn left. Nine Mile Fire Co. is on the right.